The farming sector is a key specialism for us. With our owner Philip coming from a farming background, we have the specialist knowledge to provide the best solutions and common sense approach in a sector with very specific needs and unique environments. We know farm owners demand good value and that it’s just as bad to over spec a job as it is to under spec. We always make sure we provide solutions that will last, but that you don’t pay for things you don’t need. One thing we don’t do is offer everyone a one-size-fits-all solution. We look at every site individually before we make a recommendation, taking into account the type of farming for instance, as that can be a key factor on the technology we recommend. When it comes to all things electrical and solar for agriculture, you can rely on us. Here’s some of the key services we provide to the farming industry or alternatively contact us for the most suitable renewable energy for your farm . With the space to accommodate multiple solar panels, this technology can be a good fit for many farms. We recommend equipment that you can be sure is up to the job such as ammonia resistant panels and water resistant inverters. 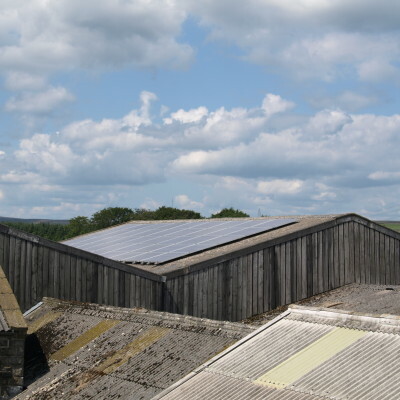 We find that farm owners can benefit in three ways from Solar PV technology. First they have the reliability of generating their very own power - a big consideration to ensure continuity of supply. Secondly, they can make a profit with their Feed in Tariff, and thirdly they can make more profit on the Export Tariff. 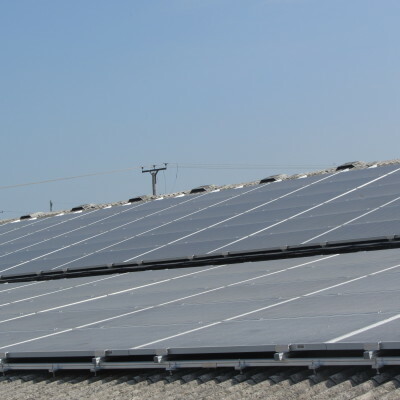 Read more about this in our solar pv feed-in tariff section. For large agricultural buildings this can be a great way to reduce energy costs and can significantly lower energy consumptions without losing lighting output. The long term reliability and excellent product warranties mean less property maintenance hassles. There’s lots of options available to suit a wide range of farm buildings. It’s no good treating a farm like any other business. Our experience means we know to install more robust equipment to cope with weather conditions and the chemicals & gases found in a farm environment. It’s just one of the examples of how our sector knowledge means we can provide better advice and the best packages.